One of the most important discovery of Lucanidae recently is the paper by Maeda in 2009 with a series of new and rare species of this group from South Vietnam. 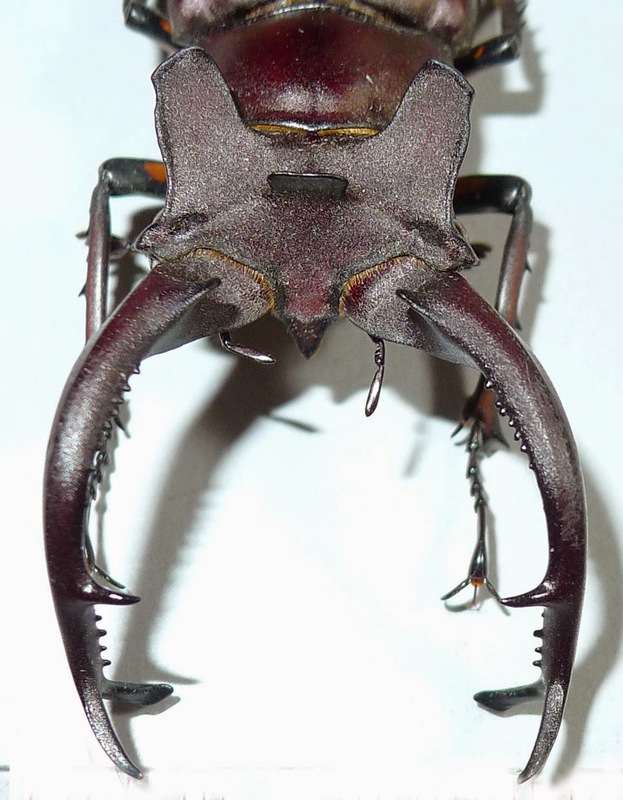 One of them is Lucanus dongi Maeda, 2009. The species is typical with a lower apical tooth that flatten, not point and two posterior lobes of head are developed remarkably. Takeshi Maeda in an entomologist and collector from Japan, he worked mainly in Vietnam about more than 10 years ago, can speak Vietnamese very well, he helped many Japanese entomologists get the materials from Vietnam for studying in a long time. Not same to Mr. Katsura, only collecting, Mr. Maeda done some works on taxonomy of Lucanidae from Vietnam. He co-worked with Mr. Dong, who is a local collector from Tam Dao, and one of the local collector can identify the insect groups. Mr. Dong can't speak English, can't read manuscript and know nothing about taxonomy but he collected insect in very early time. His knowledge about biology as well as ecology of insects from Vietnam makes any specialists be surprised. About 5 to 10 years ago, he is maybe only the Vietnamese who understand about species of Lucanidae in Vietnam, who can recognized undescribed species of the fauna. Name of the species was named after Mr. Dong who first person recognized the species was unknown species, but Mr. Maeda make the description of the paper. The type locality of L. dongi that recorded in the paper is Kon Tum, South Vietnam, however since it found in 2009, no more record of the species in Kon Tum be confirmed again, so the question about the true type locality of Lucanus dongi has not been full cleared.